There are very few writers I enjoy reading as much as my dad. 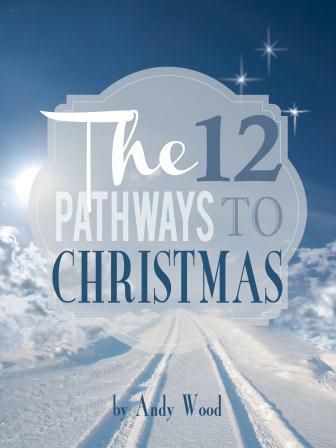 So when he asked me to read and review his new book, The Twelve Pathways to Christmas, I was excited and eager. When it comes to books at the holidays or about the holidays, there are a couple components I find important: you want a "feel good" and you need inspiration. Also a non-negotiable for me is that it always point to Jesus. The beauty of The Twelve Pathways to Christmas is that it does all three. Through believable, relatable characters, you, the reader, are inspired and challenged in a way that makes you feel good, inspires you to live Christmastime a little differently, and every motive and word points to Jesus. Beautifully worded, carefully edited, this story is necessary and good for you to read this Season. Here's the best part: You can get it and read it. For free. For the next three days (today through Sunday) you can download the book for free from the Kindle Store. Click Here to get it from the store. Click Here to hear from the author himself about it. Click Here to read a review from someone who is not related to the author. So read it, tell your friends, write a review, and tell more friend. Neither you nor they will be disappointed. Here's the link one more time. What are you waiting for? ?